/ Home / Blog / Getting to Know You: New to Memverse? 146 responses to Getting to Know You: New to Memverse? I would love to hear from all individuals and groups who would like to introduce and tell us about themselves. There are many groups on the leaderboard who I know nothing about. However, I am most curious about the 8 member "Journey to the Heart" group that seemed to appear out of nowhere to take over the 4th place spot on the group chart. Are you a local Bible study? A ministry? A local church? An association of friends scattered around the world? Could a representative from the group or anyone who knows more than me enlighten us. Howdy! I'm Josie and I have recently joined memverse. I think it was in November or something like that. I found out about memverse on the Rebelution forums and have really been enjoying it! I am currently memorizing Genesis 1 and reviewing various other passages that I had memorized earlier. When I'm done with Genesis 1 I'd like to finish memorizing James. I have chapters 1 and 2 memorized but I haven't gone any farther yet. Not sure that I have any memorizing tips, but as for keeping them memorized and not forgetting them, review is a very important factor and I've found that memverse is helping me a lot with remembering the verses I have learned! Hi, I'm Laura, I'm new as of this week and I'm part of the mysterious Journey to the Heart group! :) Journey to the Heart is a 10 day retreat designed to help young people learn to love God with all their hearts! It is affiliated with the IBLP ministry. We had a Scripture memory challenge last month for alumni all over the US to memorize Heb. 12. After reading about your site on the Journey blog, I had to join! I'm really excited to have a resource like this! I'm currently working on Matthew 7:12â€“29. Yes, Mr. Walker! I believe the Journey to the Heart group was started by David Waller to encourage those who took part in the "Lving the Journey Challenge" to memorize Hebrews 12. Journey to the Heart is a discipleship program affiliated with the IBLP ministry, and its design is for young people to get away from the daily distractions of life for a week up in the Northwoods of Michigan and draw near to the heart of God. Josie, who referred you to Memverse from the Rebelution? I'm glad you could join us! Sometimes it just takes me a while. You told me, what, two years ago? It's just as easy as you said. Then could you do the kindness of adding me as your referrer? Thank you! I'm glad I'm drawing a few people to Memverse.â€¦ I wonder how many Rebelutionaries are actually memorizing Scriptureâ€¦â€¦ those who aren't are sadly missing out on one of the greatest parts of the Christian Life. Congragelations to the Hope family Fellowship for memorizing their 1,000 verse. "...those who aren't are sadly missing out on one of the greatest parts of the Christian Life." That's so true, River. I have several fellow Christians I wish knew the incredible joy memorizing Scripture brings. The thing is, you have to work at it faithfully for months before the benefits really start showing up, and most people simply don't stick with it for that long if they don't see immediate results. Marie, thanks for sharing about "Good Cheer Family Fellowship". I long for the day that there will be Scripture memory groups at most if not all churches and Christian schools in the USA. Very neat that your church has got this going on. Maybe GCFF will inspire others to jump in. Hi! I'm Erin! I joined memverse a while ago but haven't really got on in quite a few months. Just got back on today! It's nice to be back again! And my Church (Hope Community Church) is now on the Church leader board! Hi, This is Marie's mom. I started Memverse at the encouragement of my daughters, Marie, Josie and Kaylee, as well as a couple others from our church fellowship. We are all doing a mother daughter study of Proverbs 31 together as part of our Bright Lights Study this year. At last count, I think collectively we have conservatively shared your web site with over a 100 people in the past couple of months. BUT, when you share it personally with people, by opening the web site and going through the tabs and features together, it seems to come alive to them. This memorization experience certainly works a different part of the brain by utilizing typing skills and spelling !! As Marie told me, it seemed like I had nearly memorized her Bible Bee verses just by listening to them over and over last two years, and it certainly gave me an objective format to test that hypothesis. I am amazed at this system and the mathematical algorithm underlying the testing portion of the web site. This is truly a phenominal ( spelling :) web site and an encouragement to the parents of the children memorizing their verses. Thank you sincerely for your ministry. It would be fun to be part of a church group, and a bible bee group. It was hard to choose just one group. May the Lord bless you greatly for bringing this opportunity to so many overseas as well. Pat, thanks for sharing with us. It is great to hear of your enthusiasm about memverse and your experience sharing it with others. It is neat to hear of your family and your church being so involved in Scripture. Praise God! Thanks for your blessing on our work as we spread into Indonesia and other countries. Though my sister encouraged me to join this site a while ago, I hadn't bothered to do so until some circumstances made me today. In a few things that have happened recently, I was amazed how God brought verses I had memorized years before flowing through my mind to comfort, calm, and guide me. That convinced me of the importance of memorizing the Bible, especially as I will be visiting my unsaved grandfather soon, and I want to be prepared if God brings an opportunity to talk to him. I intend to start by memorizing most of Romans, and then move on to some of the other epistles. Knowing more about this site makes me very excited to start memorizing! We are very glad to have you join us, Hannah! Make sure to check out the other "Getting To Know You" posts in the blog! May God bless you as you visit your grandfather, and as you start memorizing His Word more intensively. I formerly was on the other site Phil had, maybe it was the same site and this is revamped, so Phil I guess is my referrer. Our kids in Sunday School do the Assembly of God's Bible Quiz and Junior Bible Quiz. In their first year our kids made it to the district or state level which is great. We are a small church but the kids are really amazing. Hey, Jesus started with 12 men, and look at the church today. I know so many scriptures, but the references always got me, I absolutely love the reference recall section. So I am adding the scriptures I know first, and then going from there. I had memorized 1 Timothy in the past, so I am adding this one chapter at a time, until I have it down again, then memverse will remind me when I need to review it. I heard there was a 1st Timothy challenge or program, but I do not know where to find out more. Anyone? I would love to put a small banner ad on our church website to direct people here, does memverse have one? I made our church website, but have not yet made a banner ad. I am not sure exactly how to make one, but I know I could figure it out, unless someone has already done it. Bob Klein - The 1st Timothy Project was last year's equivalent of the 1 John project. A group of people were memorizing the book together (see here: http://www.memverse.com/blog/main/Welcome_to_the_1_Timothy_Project). That's great that you would like to add information about MemVerse to your church's website. To my knowledge, we do not yet have a banner ad, but we should be doing something like that soon. Thanks! Bob, great to have you joining us here on memverse. Congratulations to your kids on their success with Bible Quizzing. I love all the Scripture that quizzing encourages people to memorize. I pray that many former quizzers will join us here on memverse to hold onto old quizzing verses for life!! Do you do Scripture memory at your Sunday School? Have you checked out the church leader board? It would be great to see your church listed. Maybe you could even run an incentive program with a celebration when the church gets in the top 50, top 40, etc. where people are not just memorizing Scripture but also encouraging and rejoicing with others with their Scripture memory. I'm sure either Alex or Andy (the site owner) will be in touch about the website banner - great idea. If either we make one or you make one, it would be great to let other websites know about it. Keep in touch. Hi! I started Memverse in November of 2010. I am currently working on verses that I've learned through the years, but have slightly forgotten. Memverse is great for refreshing my memory! :) I'm not quite sure what I want to memorize in the future. But am leaning more towards memorizing a couple of the Psalms that I particularly like, and find encouraging. Welcome to memverse, Lydia. Thanks for sharing a little about yourself. I agree that this is a great tool for sharpening previous verses. I also agree that there are several PSALMS out there worth memorizing. @ Lydia Murray - who referred you to Memverse? I'm glad you could join us! This is a great thread. I love seeing everyone's avatars ... very cool. I really want to encourage everyone to memorize with a friend. You'll find that it is an incredibly bonding experience to memorize some passages in common. Getting together and reciting a passage is great for accountability. But you'll also find that it's one of those experiences that sticks with you for many years. Thank you for the good reminder, Andy. I haven't been doing that, but now I definitely want to. I think you should make a blog post on that 'MemFriends' topic so that more people will know about it. @ Bob Klein - who referred you to Memverse? I'm glad you could join us! Hi there, my name's Natalie. I joined Memverse just last Friday, and am enjoying it very much! Thank you to whoever made this available! I actually found out about Memverse from a link that you put up on the Rebelution. I'm currently memorizing Psalm 1 and several assorted verses that I've tried to memorize in the past, but have always ended up forgetting after a few months. Which is why I think this website, with the constant reviews, is going to help me so much! I'm not entirely sure what I want to memorize in the future, maybe Philippians or James. @ Natalie - who referred you to Memverse? I'm glad you could join us! Any ideas why it is doing this? Natlie, when typing Phil Walker's name into the referral section, are you pressing enter? If so, try to without pressing it and see if it works. I was messing around with that feature the other day and realized that pressing enter throws everything off for some reason on my PC. By the way, can you explain in further detail the problem your sister is encountering? If she's trying to use the same e-mail address you are that would probably cause a problem. Natalie - try the referral search again. We recently fixed a bug in it. I'm not sure what could be causing the problem for your sister signing up. I'll look into it. Hi. The referral worked! Thanks!! Nathan, thanks for the "Congrats" on behalf of my daughters. They are Bible Bee gals, but transfered over to the Hope Family Fellowship Team when a church member started that group. I hope it will grow!! But ... as long as we are MEMORIZING ... that's what counts. But the "teams" do add some fun. Blessings to everyone here! Your presence is an encouragement! Hi, I'm Sarah. I was referred to Memverse by River La Belle by her thread in the Rebelution Forums. I am currently memorizing verses from my Awana Journey book and some of last year's Bible Bee verses. On June 1, I will start memorizing this year's Bible Bee verses. I am part of the Bible Bee group at this point. Bob Klein, thats cool that you are on Long Island! I lived on Long Island until I was 9, and then moved to my home in Louisiana. Sarah, I would love some kind of banner I could put into a power point presentation. I am in the USA for 2 months traveling around the country letting people know about my ministry in Indonesia and encouraging a knowledge of and passion for the Scripture. I will be including a plug for the Bible Bee and Memverse (which I hope to use more and more in encouraging, inspiring, and equipping Scripture memory throughout Indonesia.) I don't currently have any power point screens to help me talk about memverse. If you could make something and email it as an attachment to philjohn1558@yahoo.com that would be awesome. Phil, I was talking about a banner to put on websites. Are you saying you would like a picture to use as a banner for your power point? I'm not great at designing things, but my 12 year old brother is, and I'm sure that if you give him some ideas of what you would like, he would do it! Sarah, yes, I would love anything for a powerpoint presentation that would someone could look at and say, "That looks neat. I may want to try memverse." Ok, I think I could put something together. When do you need it by? Sarah, I give my first presentation Sunday, April 3rd and have more spread out over the next 2 months. I can always share about memverse without the extra help, so don't kill yourself trying to get something to me quickly. However, whatever you come up with the sooner the better would be great. Hi, Mr. Walker, it's Clara Kho. Remember me? I just started memverse 2 weeks ago. Hi Clara, yes I remember you and your mother's wonderful chicken dish I enjoyed so much. Great to see you here on Memverse. There are a lot of wonderful Bible Bee people here for mutual encouragement and inspiration. Are you joining us for the quiz today at 4:00pm? Please tell your brother, sister, and parents I said "Hi". I am now in the Philippines and expect to be in Indonesia in July. Hi everyone, My name is Selly. I am from the Philippines. I am so excited to be memorizing verses with my wonderful church, Fountain of Life Christian Community. I am also a Sunday school teacher and we teach the young ones to also memorize and treasure the Bible. Ouch, I just saw my picture. It is very scary. How do I upload my own picture so people are not scared of me when they read my comments? Selly--This IS a scary picture! :) Go to http://en.gravatar.com/ and use the same email address as you use for memverse for your account. What is gravatar? And how long does it take to memorize verses? Does it take 30 days? Jamie - Josiah is correct. Once the interval hits 31 days, the verse is classified as Memorized. So the easy answer is that it takes a month to have a verse marked memorized. If you are marking verses that you already know as a 4 or 5, then the interval goes up faster and thus it may take a few days short of a month for some of your verses. And Gravatar is widely used to provide "logos"/pictures of people. Currently, I have a simple person outline because I didn't like the default. :) I'm thinking about changing it. Hi Selly. I am also from the Philippines. I am so glad to be on memverse. Hi. Selly and Samson, I just signed up. Do you think we can get more people from our church? I joined Memverse in April or May. The verses I am working on are all Bible Bee verses. I was referred by my mom. She found out about it through a workshop about memorizing scripture. I'm so glad she found out about it. Memverse is such a helpful site. Hi. My name is Cristalyn. I am from the Philippines. I am hoping memverse will put Contempary English Version up asap so me and my friend, Zheny, can start adding verses. Thank you very much. God bless. Hi. My name is Grace. I am new to memverse. I am from the Philippines. Me and my brothers love memorizing Scripture and especially using NIV Kids Club Scripture songs. Hi Cristalyn - we have added the Contemporary English Version so you're free to start using it. And we're excited to have members from the Philippines! Yes, that's very exciting that we have people from the Philippines! Welcome to Memverse! Thank you Bethany. My name is Alex. I am also from the Philippines and praying about becoming a pastor. I love memorizing verses on memverse and am still learning how it works. Hi. My name is Nyra. I am 10 years old. I am from the Philippines. I and my friends are signing up for memverse this evening. Hi Nyra. This is Rochelle. I signed up too. Hi. My name is Daniel. My brother is Christian and my sister is Grace. I enjoy memorizing verses. Hi. My name is Renelle. I am 10 years old. I am so glad that I and my friends Rochelle and Nyra got to sign up for Memverse! Welcome to all the new Memverse members from the Philippines! It is exciting, especially for all the North American members, to see users from around the world gladly memorizing God's Word. I'm Jo (short for Joanne) and I live in the UK. I started using memverse at the beginning of the year. I'd memorised Psalm 23 'properly' last year (having learnt it previously in song form - slightly out of order!) and then I'd been reading a book that recommended memorising scripture - Elizabeth George I think. Two separate friends told me about memverse - the first of whom hasn't joined (as yet!) and voila - here I am. Phil (re-your post in 1 Peter thread) - I'll have to have a think about how best to spread the word about memverse in the UK! I'll try to find out who the first person was to know about it at my church and ask where they heard about it. Hi. My name is Lenelyn. I am 8 years old and I am new to Memverse. I love memorizing verses, especially when there is a fun song. I am from the Philippines. I usually speak Tagalog. "Magaling kayong lahat"
It is nice to meet you Lenelyn. My name is Rosie Alexander. I will be 12 in February. I love memorizing verses too. It is so much fun memorizing God's Word! I've never heard of the Tagalog language. It sounds interesting. I hope to get to know you better. Hi, my name is Benjamin and I really enjoy memorizing scripture, I am new to memverse and want to learn more, if you have any of your favorite verses you would like to share with me I would be very thankful. Thanks for telling me Alex, can't wait to memorize more. 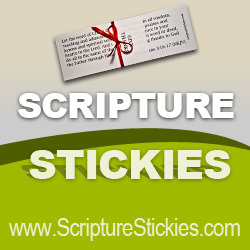 This website is so helpful , i am able to memorize any verse i like , which was not possible with me before . I am glad you like memverse moon borah, it`s a great site for memorizing scripture! I am new to memverse and like to memorize scripture. If you have some verses you would like to share with me I would be very grateful! Hi Hannah! Welcome to Memverse!!! If you want to memorize just a few verses to start with, you should go to the Popular Verses page (http://www.memverse.com/popular_verses). This is a list of 100 of the most popular verses. I would recommend memorizing some passages such as Romans 12:1-2, Hebrews 12:1-2, Proverbs 3:5, Galatians 2:20, Psalm 1, Psalm 117... the list could go on and on! Whatever you choose, I wish you the best! That will be a lot of help! I only have 6 verses at this moment. And want some more! Hi everyone I want to learn more verses and do not have one clue what other verses to add. It would be great if I could have some help on figuring what verses I could add! Hi! i'm new to memverse,and i am still finding my way around.I love this sight and look forward to memorizing on it.i am from community baptist of croswell,and one of my friends from there directed me here.i would love to be informed on how to be part of bible bees and quizzes. Hi, I'm James, I joined Memverse in January sometime, I am currently living in Crete, Greece near Rethymno. We are here because God called my mother and my dad to move here. I swim every week day because I am on the Rethymno swim team. I like your picture, Ian. I am currently learning verses from Matthew 5, and in Genesis 1. I have a lot of Proverbs and Psalms, and even more in the epistles. I don't have that many prophecy verses. It sounds fun being a part of a swim team James! It is kind of hard, but I like it. I'm trying for a Consistency badge and a Sermon on the Mount Badge ... I doubt I'll ever get the badges, especially the consistency one. I'm not sure if you know this or not but if you memorize Matthew 5-7 you should get the Sermon on the Mount Badge, and to get the Consistency Badge you have to complete 350 memorization sessions to get a gold Badge, 320 to get a silver Badge, or 280 to get a bronze badge. I know that, I just don't think that I will get the gold consistency badge. That is the one I want. Any other one would be fine, but not as nice. Hi!!! I am Gloria, James's sister. I am also on the swim team and just started Memverse about 2 months ago. Hi! Welcome to Memverse, Gloria and James! I'm NEW!!!! could you help me out, people? Welcome to Memverse, If you need to find out how memverse works, you can look at the help tab. If you want to ask people on memverse questions, or chat with folks, you can go to the forums tab from the blog tab. Hi Anne, welcome to Memverse. Welcome Anne Shirley!! What do you need help with? how do i stop that, though??? When you open up a thread, there should be a little button at the top that says "Unsubscribe". I have a problem. 7 of my verses I rate as 5 or 4 and the e-factor either stays at 2.0 or decreases, what's going on and how do I fix it? what is the e-factor anyway? The e-factor is a number that indicates the difficulty of memorizing a given verse: the lower the number the more difficult the verse is to memorize. Thank you! I was backwards... i thought that the lower the number the easier the verse!! it DOES make more sense now that I know its the opposite. Hi everyone! I have a problem. When I review my verses for the day I review them and more verses start popping up in the box to the right. What is going on and how do I fix it? I'm sorry to here that you broke your wrist Gloria. I'll be praying for your wrist Gloria! Thank you for your prayers and for the other blog! what does it mean when a verse says Pending instead of Learning? When a verse says Pending it means that the verse will not pop up in your review cue for a limited amount of time. I do not know how much time it is. My name is Hannah I enjoy swimming, camping, and playing with my little sister and friends and I love to read. Benjamin is my brother I love ice cream. I am homeschooled and a hobby of mine is making pretty things! if you memorize a verse and then want to delete it for some reason, would you still have the same amount of verses memorized? I mean, do you have to keep the verses you memorized to keep your memorizing level up?